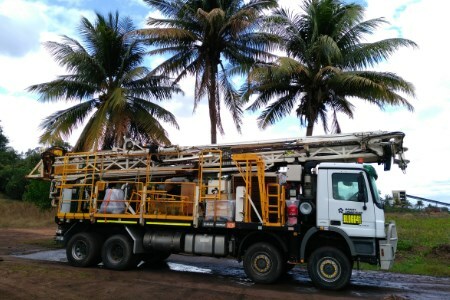 The Groote Eylandt Mining Company (GEMCO) recently awarded a three year drilling contract at the Groote Eylandt manganese mine to Boart LongyearTM Drilling Services. GEMCO is an opencast mining operation, producing high-grade manganese ore that is shipped to GEMCO’s Tasmanian manganese alloy plant and around the world. Located on an island in the Gulf of Carpentaria off the Australian coast, it is currently the largest and one of the lowest-cost manganese ore producers in the world. To continue to develop the mine, Boart Longyear is providing 16 employees including fitters and full-time drilling supervisors to operate two reverse circulation rigs. The crews will be responsible for drilling 4800 holes, approximately 115 200 m over the three year contract. “This contract was awarded based on Boart Longyear’s strong safety and productivity performance. We are very happy to start drilling at GEMCO and to start building on our relationship with the team onsite in Australia,” said John Kirkwood, Regional Director, Drilling Services, APAC.